Thank you for all the graces and blessings You have bestowed upon us, spiritual and temporal: our faith and religious heritage, our food and shelter, our health, the love we have for one another, our family and friends. This we ask in the name of Jesus, your Son and our Brother. 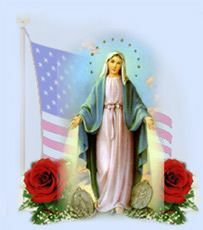 * Send your prayerful intentions to be remembered at our Lady's Shrine on July 4 and during the summer months.